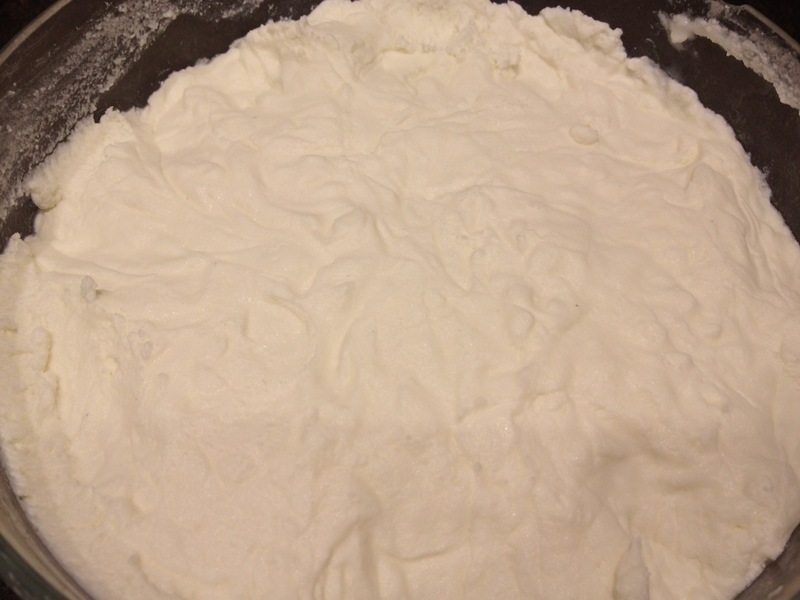 I learnt about ricotta when I shed a few kilos at Weight Watchers a few years ago. Could not believe the fact that this amazing cheese could be a substitute in so many of my favourite dishes for cheddar, mozzarella and still serve up the cheesy, creamy goodness of a lasagna or a cheesecake. The point being, this ricotta is amazingly simple to make and is light both on the waist and the wallet – ingredients at the bottom as usual. Once the milk is about to boil over, take it away from the gas and let it cool for 5 mins. Add in the big scoopful’s of vinegar – you can also add lemon juice but that’s only if you plan on using the cheese for desserts and don’t mind the lemony flavour. 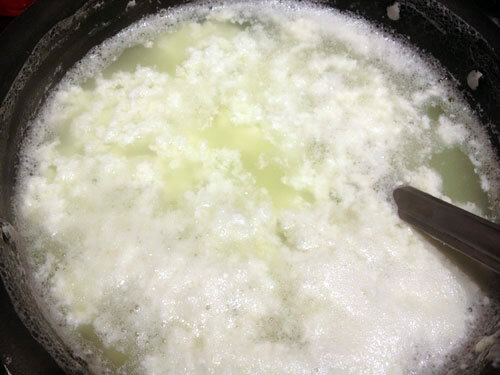 The acid in the vinegar will cause a reaction and the curds will separate from the whey. Scoop by scoop empty the curds into a colander lined with cheese-cloth or muslin. Let the liquid drain for atleast 2 – 3 hours. Voila! You have yourself some ricotta. 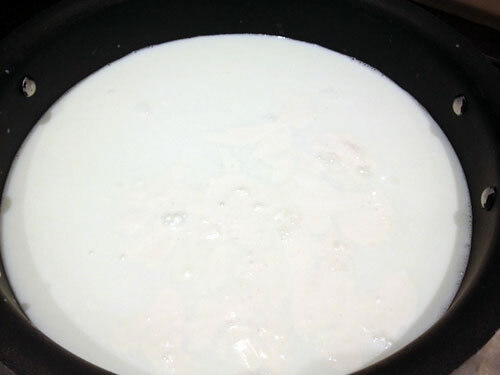 This is the same method of making Indian paneer except the tweak being to add in fresh cream when boiling the milk to give it the creamy goodness of the ricotta. If you want to make this even more low-fat you can reduce the cream but I don’t recommend giving it a miss as otherwise your cake will taste of paneer and you will have to substitute with sugar instead. 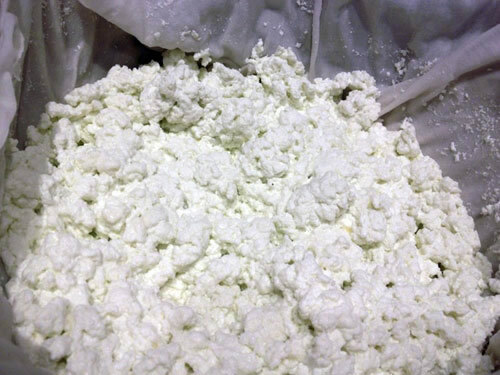 Finally, if you are a perfectionist like me or if you are using the ricotta to serve as a side-dish with drinks, I recommend giving the cheese a quick blend in the mixer – using a little of the whey to dampen the cheese to make it smooth looking like the picture at the top. Wonderful my girl. Will try it with cream next time. I pour this in fancy cane baskets and then dip back them in water which is also called topli na paneer. Firstly congrats on the blog…love the fusion recipes and ESP the ricotta…Will use cream as never made cheese with cream. In fact we use the ready made tablets to make the Iranian paneer. Dolly, which tablets are you talking about? And when you say Iranian paneer, is that the very salty paneer we used to buy around Nowrooz time in Mumbai? The only tablets I’ve heard about are the vegetarian rennet tabs (brand named Vegeren) available only in England, I’m told. If someone can supply them in Mumbai, I’d be very interested. My cousins make absolutely successful ‘topli na paneer’ with them, using tea-strainers and tea-cups. Can you share the Topli Na Paneer recipe? The Tea Strainers and Tea Cups are a great idea as cane baskets are very difficult to get overseas. I’ve not tried making this as yet but will definitely share the recipe when I do try it out. Can you please share how to make topli paneer. I live in USA and we get rennet as well. I would love to have both recipes, yours above and the one with rennet tablets. Sharon, you don’t need rennet to make Ricotta cheese at home. You can also make cream cheese and mascarpone without rennet. I don’t think it’s actually available very easily in India. Your best bet would be a friend from overseas or Crawford Market in Mumbai.